Aimee Maher is the student services facilitator at South Dakota State University in the Office of Continuing and Distance Education. In this position, she supports students taking Great Plains Interactive Distance Education Alliance courses. 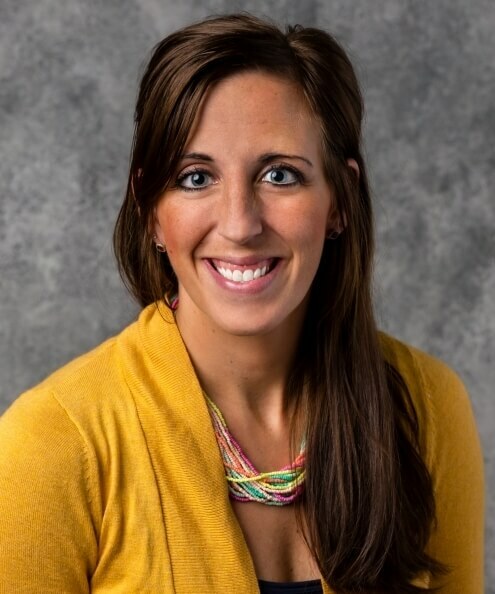 Maher received her Master of Education in college student affairs administration from the University of West Florida in 2008 and has worked in higher education for the past seven years. Prior to transitioning to the Office of Continuing and Distance Education spring 2018, Maher worked in the Graduate School at SDSU for two years. Outside of work, Maher loves spending time with her husband, Matt, their three young children Sophia, Dean and Olivia and their husky, Skylar. She enjoys playing outside with her kiddos, going to SDSU athletic events and cheering on the "black and gold" as Maher is originally from Pittsburgh, Pa., and loves watching the Steelers, Penguins and Pirates. Maher is excited and looking forward to assisting you with achieving your academic goals through Great Plains IDEA.